Code Name: Wild Geese is set in Southeast Asia, where opium and military dictators rule the Golden Triangle region. Commander Robin Wesley leads a group of mercenary soldiers into the zone in an attempt to throw over the ruling dictator in an attempt to upset his trade of the popular drug. Neither the commander, nor the mercenaries are entirely prepared for the jungle conditions they are placed in, and are left to handle new situations and escapes as they arise. There is plenty of action, night time raids and military maneuvering in this film, which makes it enjoyable for anyone looking for a good action film. 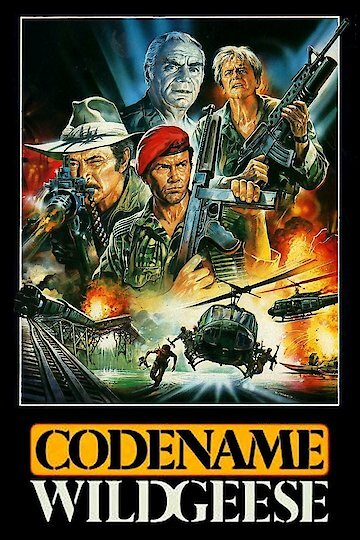 Code Name: Wild Geese is currently available to watch and stream, buy on demand at Amazon online.